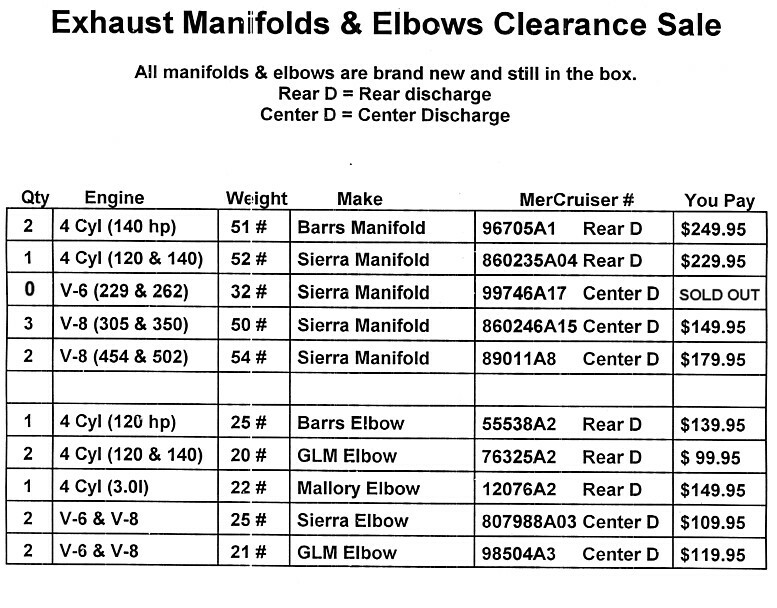 Below is a list of Brand New (In The Box) exhaust manifolds and elbows for MerCruiser that we currently have left in stock. Local residents can take advantage of these prices by ordering online and picking up here to avoid shipping charges. We will even pay your State Sales Tax on these items only.